With the first day of fall upon us, it’s time to add some fall touches to your home! Adding some fall pillows can really make your home feel cozy and welcoming. 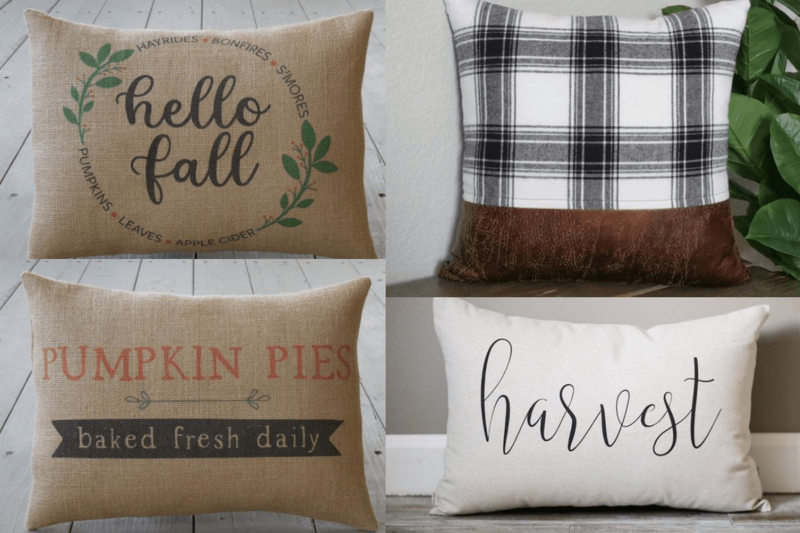 If you love all things Fixer Upper and that farmhouse style, these fall throw pillows will definitely be right up your alley! Pillows just might be one of my favorite fall decor items! Another way to decorate your home for fall is to add some seasonal scented candles, bring out some cozy blankets, and add an autumn wreath to your door. I also always love to switch out my hand towels and soap (pumpkin scented soap…yum). How do you guys get ready for fall? Do share below! These are a combination of throw pillows and throw pillow covers, so be sure to read the product descriptions carefully. Just click on each image below to be taken to the product page. Happy fall, enjoy!